"it is impossible to squeeze the afro scene from Nigeria into one album, you could do twenty albums and still not have covered much of it. There are literally thousands and thousands of records made there, and the vast majority of non Nigerians have never heard it." 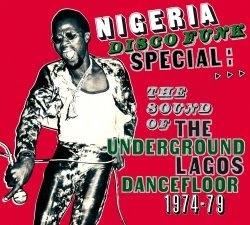 Thanks to the good work of Miles, Samy and others we are getting to hear some of what was rocking, grooving and funking Lagos. There's a great podcast with tunes and words from Miles available for download here. More details and other stuff from the Nigeria Special mini-site.